As the official partner of the University of Minnesota, Rent College Pads gives you the ability to compare more landlords around the University of Minnesota than ANY other site. Searching for off-campus housing in Minneapolis or St. Paul near the University of Minnesota - Twin Cities isn't easy. You're competing with roughly 40,000 other students who need a place to live and enrollment is growing all the time. Start looking for houses or apartments near the UMN campus sooner rather than later and use Rent College Pads to navigate these choppy waters. We'll even follow up with you and the landlord to make sure your housing search is on track. Get started on finding your UMN off-campus housing today! Dinkytown. Stadium Village. Marcy Holmes. Como. The East Bank. There are a lot of neighborhoods around the University of Minnesota that each have their own strengths and weaknesses. But before you decide where you want to live, think about what type of place you want to live in. Students that attend the University of Minnesota who are looking for larger houses with five or more bedrooms - often in Dinkytown - get started by mid-October, while students looking for one or two bedroom apartments near campus in Stadium Village or East Bank often start later in the spring. Minneapolis rent will vary wildly depending on the type of building you're looking to live in. The luxury student housing properties in the Stadium Village District have rents that far exceed the older properties a bit further from campus in East Bank or Dinkytown. You should be able to find 3+ bedroom houses or apartments for under $700 per person. Sound too expensive? Remember that each roommate you add on will bring your rent down a bit. And same with each block you put between yourself and the campus. With each passing year, Minneapolis is gaining steam as a true "foodie" city. The scene is thriving and full of new restaurants all the time. Stay plugged into sites like Yelp and keep checking out the downtown and campus areas as new restaurants continue to appear. But maybe don't walk too far come winter. It's going to be cold. So cold. Don't go outside if you don't have to or if you don't love wearing five or six layers. Once you're layered up, remember that Minnesota is a Big Ten school with all the standard Big Ten trimmings. Football games are a big deal and TCF Stadium is smack dab in the center of campus around tons of bars, restaurants and places to go. Next to the football stadium is the Mariucci Arena for hockey games. While a lot of schools pride themselves on their football program, don't sleep on hockey at UMN. The team is always good and it makes for a pretty rowdy atmosphere. 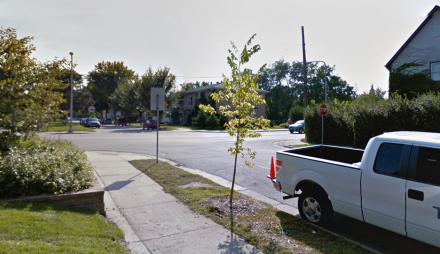 Marcy-Holmes is the first Neighborhood of Minneapolis and is located in the northwest part of University. 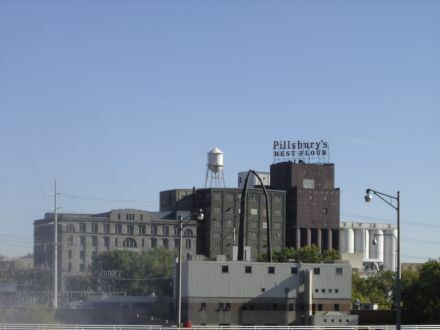 Marcy-Holmes is known for its commercial districts, close distance to the East Bank of the University of Minnesota campus, St. Anthony Main Theater, and Dinkytown. 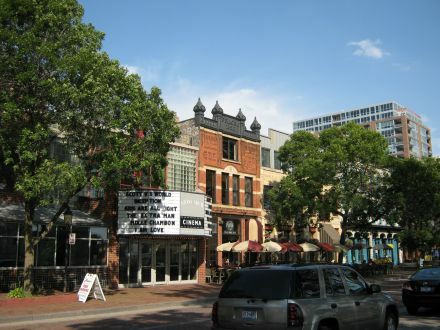 Dinkytown is a commercial district that spans several blocks within the Marcy-Holmes neighborhood and has many small businesses, bars, restaurants, and apartment buildings tailored towards the University of Minnesota community. People come here to shop at the bookstores and to hear great live music. Some of the top food spots to go are the Loring Pasta Tree, Al’s Breakfast, and Annie’s Parlour. The Como neighborhood is located in northeast University and is separated from Marcy-Holmes by the railroad tracks.Como is the halfway point between both the Minneapolis and St. Paul campuses and taking the #3 bus line will bring you to either campus or just about anywhere downtown Minneapolis or St. Paul. The housing in Como ranges from older Victorian homes to 20th-century bungalows and two-story walk-up apartment buildings from the 60s mixed in with newer duplexes and single-family houses. Many activities and places to run errands are within walking distance. Como is home to the Weisman Museum, U of M athletics, a variety of restaurants, laundromats, hardware store, grocery stores, resale shop, coffee houses, bars, and a barber. Como is also only a few minutes drive to two shopping centers. The Van Cleve Park is located in Como and has baseball fields, ice skating rink, and a wading pool. Como Corners is an award-winning neighborhood garden that encourages anyone in the community to get involved and volunteer. The entire city of Minneapolis is divided into eleven different communities and each of these communities has its own neighborhoods. 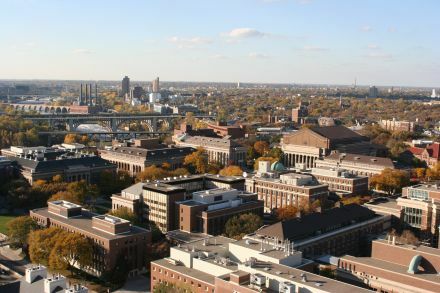 Located directly east of downtown Minneapolis, the University neighborhood gets its name because the majority of the area is occupied by the University of Minnesota. The Mississippi River divides the neighborhood into two sides called the East and West Banks. More than 90% of the population living in the University community are home renters versus owners. This is due to the high student population. Prospect Park is located in southeast University and is just below Como. Prospect Park is centrally located between the Twin Cities and the Green Line LRT runs right through the neighborhood. Recently, the neighborhood has become a National Historic District for its significant impact on social history. The neighborhood is extremely diverse, from Tower Hill to the Mississippi River is where you’ll find more families and empty-nesters living. Southeast of 27th and University Ave is the site of the Glendale Housing Project which was created to help house residents living at or below poverty level. Located on the west and north sides of Prospect Park are many of the newer off-campus student housing apartments and there is a great mix of both undergrad and graduate students living in this area. Stadium Village, a thriving commercial district, is located in west Prospect Park right along the East Bank of the U of M campus. Stadium Village is home to the football, basketball, aquatic, and hockey facilities. Go Gophers! Stadium Village has over 90 businesses ranging from retail shops to restaurants. Each year, they hold the Ice Cream Social the first Friday after Memorial Day. There is a ton of food, music, and entertainment and it’s the only time the inside of the Witch’s Hat water tower is open to the public, offering panoramic views of Minneapolis. The Cedar-Riverside neighborhood, also called the West Bank, is located in south University and runs northeast along the Mississippi river just east of downtown. This neighborhood is dominated by the West Bank Campus which includes the Law School and the Carlson School of Business. The Washington Avenue Bridge connects the West Bank to the East Bank. Both the Blue and Green light rail lines run through Cedar-Riverside, making it the only neighborhood in the Twin Cities to have two light rails. The West Bank has the largest immigrant community in the Twin Cities and has become one of the largest Somali communities in the United States. The area is often called Little Mogadishu or Little Somalia. The neighborhood has several cafes, restaurants, bars, exotic shops, and music venues where you can catch live music and dance performances. The neighborhood’s West Bank Arts Quarter adds to the mix of diversity in the area with schools and theaters like the Mixed Blood Theatre Company, Cedar Cultural Center, and the Triple Rock Social Club. Cedar-Riverside also hosts the annual Zombie Pub Crawl where up to 18,000 people dress up like zombies and hit up all the bars in the area. They also bring a big variety of popular artists to perform for the crowd. Just west of the University of Minnesota is the Nicollet Island neighborhood. Nicollet Island lies in the middle of the Mississippi River on the East Bank and connects to University and Downtown Minneapolis by the Hennepin Avenue Bridge. The island is just forty-acres big and has the Nicollet Island Inn and the Nicollet Island Pavilion where several outdoor concerts and firework displays are held. 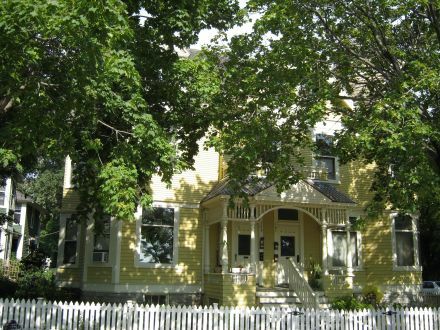 There are just over twenty Victorian homes and being that this island is so close to Downtown the area has gone under some renovation and high-end condos and shopping complexes have been being built. There are also acres upon acres of trails for biking and hiking.